The new Chaverim M’Israel (Friends from Israel) arrive at CVG. They were greeted by their host families and P2G staff members. For the last 14 years, the Cincinnati Jewish community, and even the larger community, has felt and experienced the tremendous impact of our Chaverim M’Israel (Friends from Israel) program under the professional leadership of Sharon Spiegel and now Jennifer Clark. Each year two amazing young adults from Netanya come to Cincinnati to educate our children and teens in a fresh, fun way so that our children can better understand contemporary Israel and her many faces, accomplishments, challenges, and people. The volunteer and professional leadership of the Jewish Federation’s P2G Committee felt it was equally important for a Cincinnati young adult to live and work in Netanya in order to educate young Israelis about American Jews and the diverse ways we practice Judaism, create community, live our daily lives, and care about Israel. This fall, the Jewish Federation of Cincinnati is welcoming new young emissaries in both Cincinnati and Israel, a move that will deepen connections on both sides of the ocean. Adi Itscovich, 18, and Asaf Munk, 18, will be serving the Cincinnati community as this year’s Chaverim M’Israel (Friends from Israel). 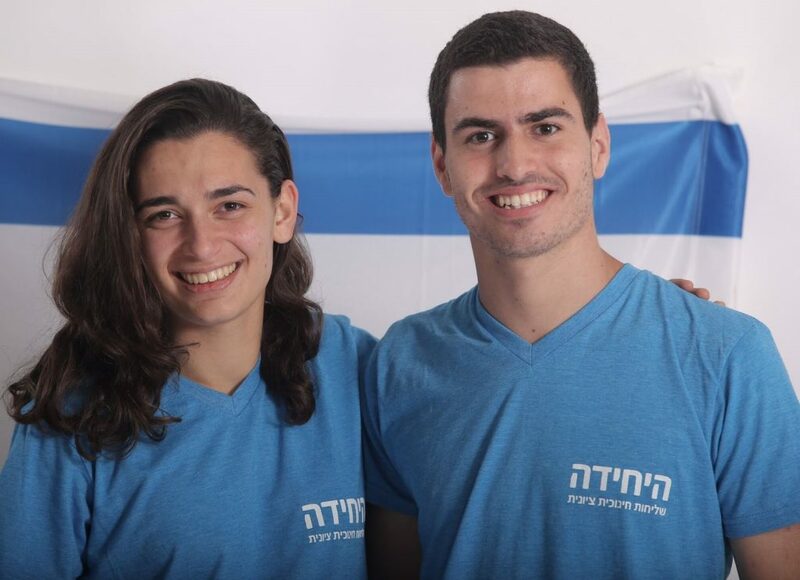 Adi and Asaf are from Netanya, Cincinnati’s partnership city in Israel, and were selected as the top two candidates from that city to represent Israel in Cincinnati. Both have chosen to defer their army service in Israel for a year in order to help the Cincinnati community form an increased awareness of and a connection with the land, culture, and people of Israel through education and interpersonal relationships. Shelly Zeiser, 26, will spend a year in Netanya, Israel as the Jewish Federation of Cincinnati’s Cincinnati Fellow in Israel (Cincy Fellow) teaching Israelis about life, culture, and Judaism in the United States. 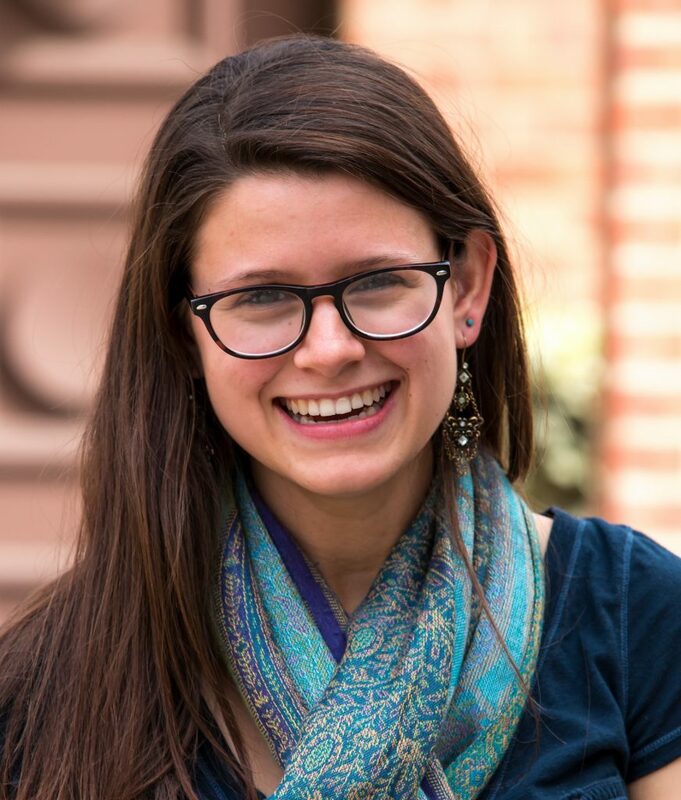 Shelly Zeiser, 26, will serve as the Federation’s Cincinnati Fellow in Israel (Cincy Fellow), an American emissary who will spend a year in Israel teaching people about life, culture, and Judaism in the United States. She will be part of the Israel Teaching Fellows (ITF) MASA program and also do programming through Partnership2Gether (P2G) in Netanya. While helping teach English classes at a junior high school, she will incorporate lessons on American culture, including holidays, through a Jewish lens. Shelly grew up in Long Island. She studied Music Therapy at the University of the Pacific in Los Angeles and is a board certified music therapist. She moved to Cincinnati shortly afterward to take a position as a service learning coordinator at Melodic Connections in Silverton, an organization that helps people with disabilities and youth who have experienced trauma through music. She has always been very interested in learning about other cultures and is looking forward to spending a year in Israel. Adi studied physics and Arabic at Tel Aviv University. She likes to dive, read, and hang out with her friends. She is interested in history, politics, movies, and video editing. She has two siblings, Ori, 15, and Michal, 7. She’s not sure yet where she will serve in the IDF, but she’s looking forward to a meaningful service. For now, she is excited to be back in Cincinnati. The new Chaverim M’Israel (Friends from Israel), Adi and Asaf, arrived in Cincinnati in late August. They will spend the next year interacting with students and other members of the community, to increase Americans’ awareness of and connection with the land, culture, and people of Israel. Asaf grew up in Tel Mond. In school, he studied geo-globalization and theatre. He has studied at the Agency Association for Holocaust Survivors in New York City and has volunteered with a boarding school for troubled children. He is very close to his family, which includes his parents, his twin brother Dan, who also happens to be a ShinShin, and his older sister, who’s studying to become an actress. Asaf is looking forward to giving himself to the army next year and is eager to both teach and learn from the Cincinnati community this year. Adi will stay with host families Joel and Lynn Kling in Montgomery, as well as Ross and Jan Evans in Blue Ash. Asaf will stay with host families Les and Molly Polasky in Montgomery, as well as Guy and Miriam Peri in Blue Ash. 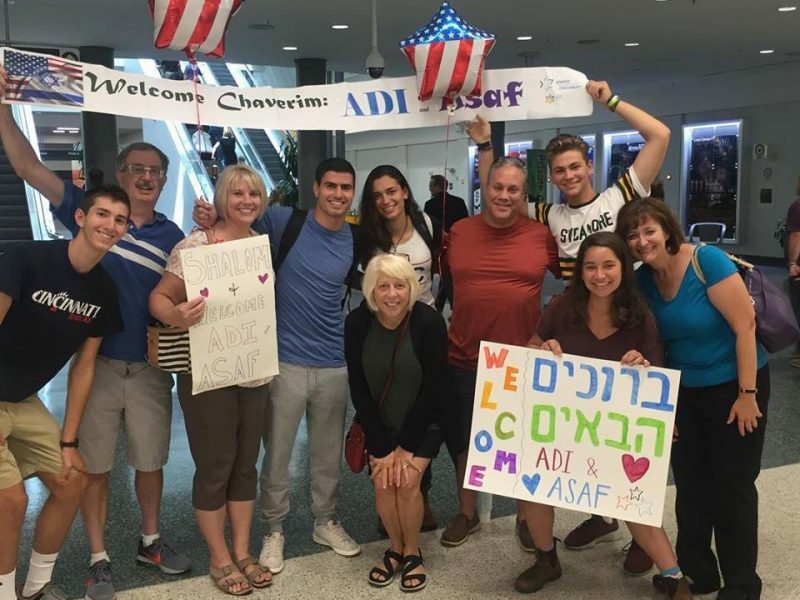 Adi and Asaf will visit many schools and organizations throughout Cincinnati to help teach about Israel and to help Cincinnatians develop connections with the country. They have regular visits to Rockwern Academy and area congregations’ Sunday schools. In addition, they will visit Jewish, public, and parochial schools in Greater Cincinnati.